Cadillac hasn't had a proper flagship sedan for a number of years. For a brand that's trying to set itself up as a real contender in the global luxury marketplace, this is very bad. But the brand has been quietly working on one behind closed doors for a few years and, in 2015, they revealed the finished product called the CT6. But being a flagship sedan, it faces quite the opposition from German, British and Japanese rivals who have been playing in this segment for quite a while. Can Cadillac make any inroads with the CT6? Cadillac has been toning down their Art & Science design language on their more recent models like the CT6. Park it next to the ATS or CTS and you can tell there has been a softening of the overall shape. That doesn't mean Cadillac has lost the distinctiveness that has been a key point of theirs. The CT6 still comes with a fair amount of sharp lines and angles. It also features the classic proportions for a rear-wheel drive vehicle - a long front and short rear. If there is one complaint about the CT6's design, it is how bland the lower trim models look. This mostly comes down to small details, such as the black grille insert and small wheels - 18-inches for the base model. You can't say the same for the model seen here, the CT6 Platinum. It is one sharp looking vehicle with chrome slats for the grille and a set of optional 20-inch wheels finished in Midnight Silver. Cadillac's interiors have fallen into the "So close, yet so far" category. On the surface, the interiors look like they could match up to some key rivals. But get a little bit closer and you can see and feel that the material quality isn't up to snuff. In places where you would expect soft-touch materials, there are hard plastics. Also, some material choices, such as the piano black trim used for the touch-sensitive controls, bring down the luxury aura that Cadillac is trying to present. Thankfully, Cadillac has been changing their ways with their most recent models. Our CT6 Platinum tester came with fine leather upholstery on the seats and dash, carbon fiber and wood trim, and stitching on the upper dash. There are some areas Cadillac still needs to work on, such as plasticity controls for the climate control system, but it is much better than Cadillac's previous models. 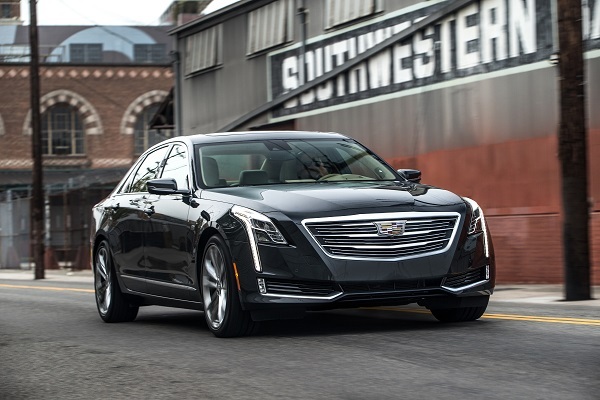 Design-wise, the CT6 is uncluttered with a fair amount of controls either in the compressive climate control system or CUE infotainment system. The front seats offer up the right amount of cushioning and support needed for a long trip. Platinum models offer 20-way power seats with memory for both the driver and passenger to help with finding the right position. In the back, most passengers will have enough head and legroom. The CT6 Platinum adds some nice luxuries for those in the back with heated and ventilated seats, power adjustments and a rear-entertainment system. You can option all of these features on lower trims of the CT6 via the Rear Seat Package. One downside for the back seat is the car isn't long enough to take full advantage of the power adjustments; the CT6 is slightly shorter than other flagship sedans. With the back seat fully reclined, my knees were touching the back seat. If Cadillac was to launch a long-wheelbase variant of the CT6, it would solve this issue. Trunk space is below average for the class at 15.3 cubic feet, again due to the length of the model. Certain CT6 trims, such as the Platinum, swap the standard instrument cluster for a 12-inch screen that offers the ability to reconfigure the layout. It might not look as snazzy as Audi's Virtual Cockpit system that offers more customization options, but it is easy to read at a glance. The same is true for the full-color heads-up display. It may lack the coolness factor as some of its competitors, but the simple graphics and range of available layouts keep it towards the top. Cadillac User Experience (CUE) has been a lightning rod of complaints since it was launched a few years ago. 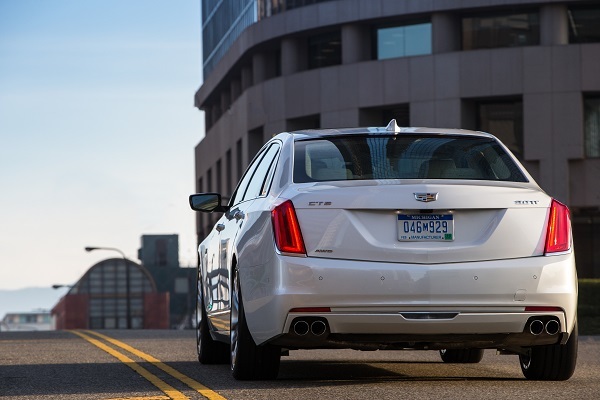 From slow response times to the touch sensitive controls not responding when pressed, CUE was listed as a key reason why you should skip Cadillac. But over the years, the brand has been making improvements to try and salvage CUE's reputation. 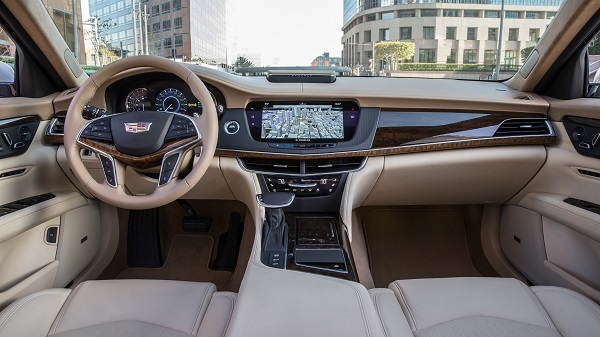 The CT6 shows how far they have come with the major change being the dramatic reduction in touch-sensitive controls. There are still some for various functions such as a volume bar and they are better at responding. We're glad to see some actual buttons for various functions, such as the climate control. The system itself has seen changes with a faster processor and tweaks to the interface. These changes help make CUE easier to deal with on a daily basis as performance is snappy and moving around the system doesn't cause much confusion. For those who want something a bit easier, you'll be happy to know CUE features Apple CarPlay and Android Auto compatibility. Exclusive to the CT6 is a touchpad controller. Similar to Lexus' Remote Touch system, it uses a pad similar to what you find on your laptop to move and select various functions of CUE. But we found the touchpad controller to be a bit too sensitive as it tends to overshoot where you want to put the cursor. For the time being, your better off using the touchscreen. The EPA rates the 2017 Cadillac CT6 3.0L twin-turbo V6 with all-wheel drive at 18 City/26 Highway/21 Combined. We saw an average of 22 mpg in mostly city driving. Consumer Reports says the CT6 is about average in terms of predicted reliability, while J.D. Power puts it above average. At the time of this writing, there is no initial quality rating from J.D. Power. 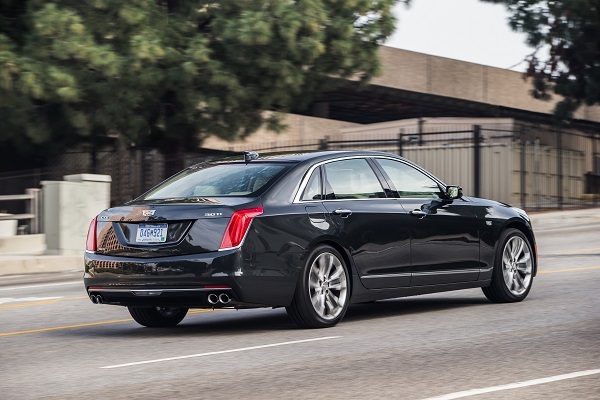 All CT6s come with a full suite of airbags, traction control, stability control, backup camera and OnStar telematics that can automatically notify emergency services in the event of a crash and call for roadside assistance. Step up to the the Luxury and higher trim levels to net blind spot monitoring with rear-cross traffic alert, lane departure warning, lane keep assist, forward collision alert, low-speed automatic braking, automatic pedestrian braking, and rain-sensing wipers. You can get these features on the base CT6 by ordering the Driver Awareness and Convenience Package. Premium Luxury and Platinum models come with Cadillac's Rear Camera Mirror that uses the backup camera to provide a wider rear view through the rear-view mirror. Automatic front and rear braking, and night vision comes standard on the Platinum and are available as options for the Premium Luxury. The CT6 hasn't been crash tested by either the National Highway Traffic Safety Administration or Insurance Institute for Highway Safety. 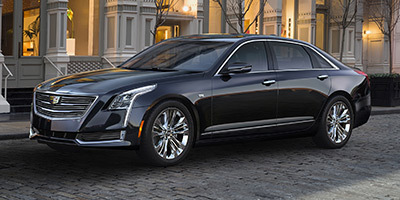 Cadillac offers the CT6 with four different engines. The base is a 2.0L turbo-four, followed by the 3.6L V6. The top dog that we had is the twin-turbo 3.0L V6, producing 404 horsepower and 400 pound-feet of torque. All of the engines come hooked up with an eight-speed automatic. The 2.0 is only available with rear-wheel drive, while the V6s make do with all-wheel drive. A plug-in hybrid pairing the turbo 2.0L and electric motor to deliver 335 horsepower has recently gone on sale. The lack of a V8 option will disappoint some people since this is Cadillac's flagship sedan. But when you step on the accelerator pedal, that disappointment will fly away. This V6 will pull the CT6 at a surprising rate with a 0-60 time of 5 seconds. Torque is available anywhere in the rev range so this means making a pass or deciding to leave anyone in the dust at the stoplight will not be a big deal. The eight-speed automatic goes about it business with smooth shifts. If there was an area that the CT6 surprised us, it has to be the handling. With an overall length of 204-inches, you might think the CT6 is a bit of handful around the corners. But the CT6 feels small when driven on a winding road with surprising agility and minimal body roll. A lot of credit has to go to the Active Chassis Package. Standard on the Platinum and optional on other trims, this adds GM's magnetic ride control system that uses special shocks filled with magnetic fluid and rear-wheel steering. The downside to this package is it makes CT6 not as smooth as some its competitors. You will feel a few more bumps come in when driving. Road and wind noise are kept to very acceptable levels. If there is one place that the CT6 smokes everyone, it has to be overall value. The base CT6 begins at $53,795 for the base turbo 2.0L. Our Platinum 3.0TT sits on top of the CT6 range and starts at $87,795. With a few options such as the 20-inch wheels, white paint and spoiler package, our as-tested price came to $91,580 with destination. To match the level of equipment found on the CT6 Platinum, you will need to spend a bit more cash on competitors. For our money, the Platinum 3.0TT is the sweet spot of the CT6 lineup. The leaders in the flagship sedan class are the BMW 7-Series and Mercedes-Benz S-Class. Both sedans are quite more expensive than the CT6, but they offer a larger back seat, impressive luxuries and a smoother ride. The CT6 can fight back with a more distinctive design, sharper handling characteristics and a lower price tag. 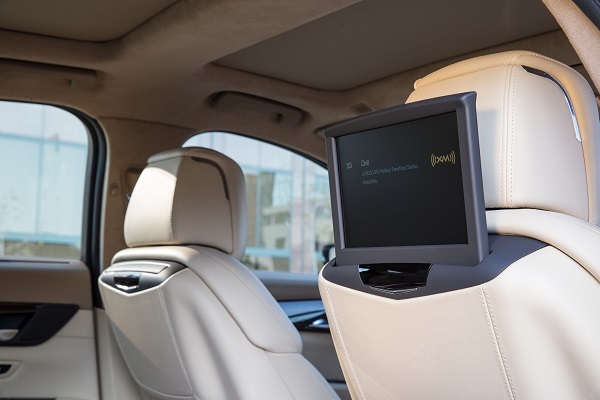 The Audi A8 is getting up there in age and its infotainment system cannot fully compete with the class leaders, but offers a composed ride and feels like a smaller sedan when pushed. Jaguar's XJ is also getting somewhat long in the tooth, but offers an interior experience that very few models can match and can compete with the CT6 on price. For being out of the flagship sedan market for a bit, Cadillac's latest attempt with the CT6 is quite successful. There are some niggling issues that Cadillac needs to address such as possibly adding a long-wheelbase variant and doing some working on improving materials. 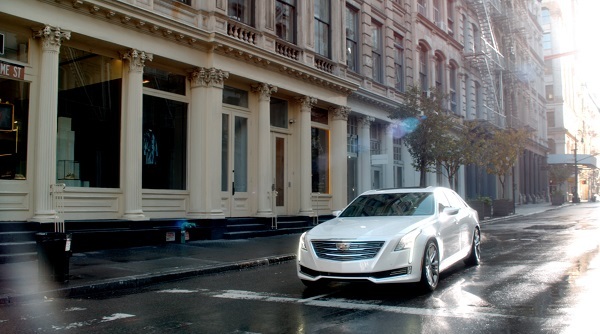 Taken as a whole, Cadillac has created something distinctive in the flagship sedan class. Sure, it might not have the name recognition as most of its competitors. But being a competent sedan is a good first step for the CT6. Interested to see how the 2017 Cadillac CT6 ranks against similar cars in terms of key attributes? Here are the 2017 Cadillac CT6 rankings for MPG, horsepower, torque, leg room, head room, shoulder room, hip room and so forth.